The game looks great, but at what cost? One of the main criticisms about Nvidia's latest RTX 20-series video cards has been the lack of games out there that take advantage of their main selling point: real-time ray tracing. Sure, the cards offer sizable performance improvements over Nvidia's 10-series cards, but as we've noted in our reviews, any FPS boosts you enjoy may not be worth the particularly-high price tags attached to the RTX 2070, 2080, or 2080 Ti. So, that leaves Nvidia's RTX technology to do the heavy lifting as far as value is concerned, and now, it may have finally done so. 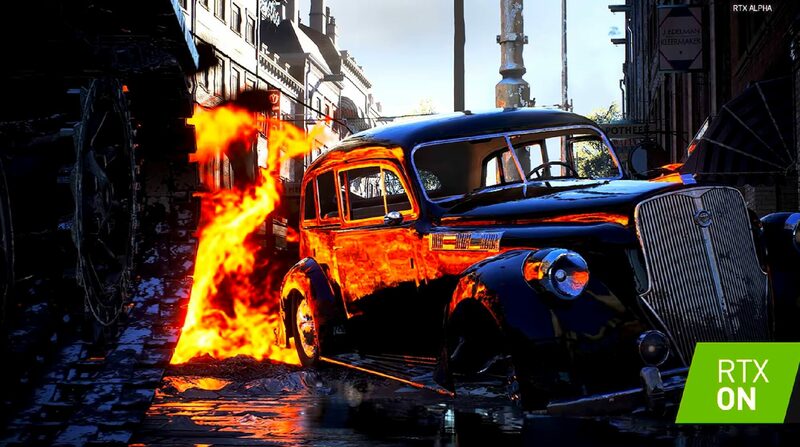 Battlefield V, which boasted one of the better RTX demos at Nvidia's hardware reveal event, has been updated with ray tracing graphical options. You can judge for yourself by taking a look at the video below. HardOCP claims that there are a few growing pains, though. While the technology looks good in action -- it's particularly noticeable in the reflections seen early on in the above clip -- the website says there's a hefty amount of input lag for some users. Fortunately, this can be fixed by turning off VSync and Future Frame Rendering in Battlefield V's video settings. Based on the footage we've seen so far, the game appears to be running well at around 90-100 FPS. However, it should be noted that the user is playing the game at 1080p on an RTX 2080 Ti; Nvidia's flagship GPU. In our own Battlefield V benchmarks, where we ran the title on the same card without ray tracing enabled, we were able to hit an average of 182 FPS. With that said, only time will tell how well Nvidia's RTX tech will scale to some of the other games it's set to arrive in, such as Shadow of the Tomb Raider and Metro: Exodus.